Podcast Episode 72 — Tips to Get Back Up in the Face of Discouragement! Hello, and welcome to the Leadership Done Right Podcast, Episode 72: Tips to Get Back Up in the Face of Discouragement! Hi Friends! In this episode, I am going to talk about how we all get knocked down, go through discouragement, and have setbacks. We can become better as we get up, learn from the setbacks, and try again to progress. By doing that, we get better and grow. Before we get into this, I want to share an interesting experience. This past week I traveled to Texas for a conference for my full-time employment. It was great! Great learning, great people, and a great place. I had to fly to Texas and as normal, I have to go through airport security. When I fly places, I often take my audio equipment including my H4N audio recorder with me so I can keep up with the podcast. The H4N has two microphones on the top that point towards each other. If you are familiar with what an audio recorder looks like, it is obvious that it is an audio recorder. I have flown with it several times. Each time I take it through the security checkpoint, I get mixed responses. When I put it in a bin for the scanner, the agents have questioned why I took it out. Then when I have left it in my bag, they’ve pulled my bag to check the audio recorder thinking it was a taser. Knowing that they often question why I take it out, I feel a little funny taking it out. But, it is a hassle having them go through my bag so I have just decided to take it out each time. I know that is a random story, but I thought it was a little interesting and since it directly relates to the podcast I wanted to share it. As I mentioned at the beginning, stumbling, falling down, and going through discouragement are all part of the growing process. Without setbacks, we can’t become the leader or person we want to become! Many of the greatest people you will ever find have experienced failure. There is no disgrace in falling down; the disgrace is lying there. To explain this point, I want to share a story from the life of Babe Ruth, one of the greatest American baseball players. This story illustrates the principle of success and particularly failure. It was a beautiful Saturday afternoon in the summer of 1927, and 35,000 wildly excited baseball fans packed Shibe Park. They were giving Babe Ruth the “razzberry”–and good! Lefty (Bob) Grove, one of the greatest left-handed pitchers of all time, had just struck out Babe Ruth on three consecutive pitched balls for the second successive time. Two runners were stranded on the bases. As the great slugger returned to the bench, amidst wild and abusive jeering, he looked up into the stands with an unruffled smile, just as he did the first time, gave his cap a polite little tip from his perspiring brow, stepped down into the dugout, and calmly took a drink of water. In the eighth inning, when he came up for his third time at bat, the situation was critical. The Athletics were leading the Yankees, 3–1. The bases were loaded and there were two outs. As Babe selected his favorite bat and started toward the plate, the crowd rose in a body, as if by signal. The excitement was tremendous! “Strike ‘im out again!” pleaded the fans to Grove. Strutting around the pitcher’s box, it was easy to see that the big southpaw believed he was just going to do that. As the mighty batter took his position, the crowd became hysterical. There was a pause. Mickey Cochrane, the A’s great catcher, crouched to give the signal. Grove threw one with lightning speed. Ruth swung; it was a foul tip. “Str–ike one!” roared the umpire. Again the signal, and the pitch was too fast to follow. Again, Babe took that magnificent swing–and missed. “Stri–i-i-ke two!” was the call. Ruth staggered and went down. He had literally swung himself off his feet. There was a cloud of dust as the big fellow sprawled on the ground. The crowd was going mad. Finally, regaining his feet, the “Bambino” brushed the dust off his trousers, dried his hands, and got set for the next pitch. Grove delivered the ball so fast not a single fan could see it. Babe swung–but this time he connected! It was only a split second before everybody seemed to realize what had happened. That ball was never coming back. It disappeared over the scoreboard and cleared the houses across the street –one of the longest hits ever recorded. As Babe Ruth trotted around the bases and across the plate behind the other runners–with what proved to be the winning run–he received a wild ovation from the crowd. Ruth doffed his cap with that little smile, and the expression on his face was exactly like the one he wore on his first two trips, when he had gone down swinging. This unshakable faith in making the law of averages work for him enabled Babe Ruth to accept his bad breaks and failures with a smile. This simple philosophy had much to do with making him baseball’s greatest slugger for many decades. His attitude of taking both good and bad in stride made him one of the game’s greatest heroes. Why is it, when we read about great athletes or men in other professions, we are seldom told about their failures? For example, we now read of the amazing record of the immortal Babe Ruth, with his total of 714 home runs; but another unapproached world’s record of his is carefully buried, and that is that he struck out more times than any other player in history–1,330 times! One thousand three hundred and thirty times he suffered the humiliation of walking back to the bench amidst jeers and ridicule. But he never allowed fear or discouragement or failure to keep him down. Someone has said that success consists not in never falling, but in rising every time you fall. Get up one more time than you go down and you will win. Stay down, and you will lose. So what can we learn from this story? Here’s three lessons that I take from this story. No matter how hard we plan and take steps to set ourselves up for success, there will be moments of struggle, setbacks, and discouragement. 2. Don’t stay down when you face setbacks! As a leader, there will be times when things won’t go as planned, people won’t listen to you, and you will face complete discouragement. You may be sharing a new vision, trying to implement a very positive change, or working to make things better and it just doesn’t go as planned. When that happens, identify lessons and takeaways you can learn from. 3. Use the Law of Averages to your benefit! Babe Ruth said that he believed in the law of averages which states that a particular outcome or event is inevitable or certain simply because it is statistically possible. Some say that just because something is possible, doesn’t mean it will happen. Babe, however, specified that if he continued to work on his swing and continued to swing properly, he would be successful. I believe that if you continue to work hard, do your best to improve, and take advice from others who know, you too can be successful. It may not come right away, but success will come to the diligent. I have mentioned this before, but one of my favorite quotes is from Abraham Lincoln. He said, “If I prepare myself, perhaps my chance will come!” If you give your very best effort all the time, you will likely be successful. Just to wrap things up, know that as a leader, even when you create the perfect plan and do everything you can to be successful, there will be setbacks. That will likely bring moments of discouragement, but don’t stay down when you face setbacks. Instead, work hard, step up, and keep doing your best! 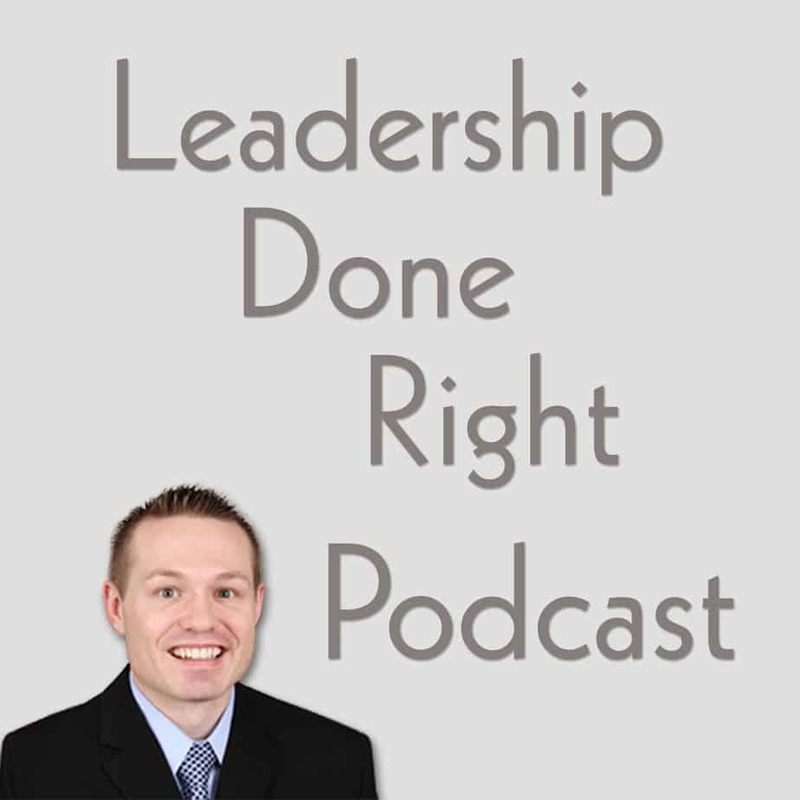 Thank you for listening to the Leadership Done Right podcast. You can check out the show notes at LeadershipDoneRight.com/PodcastEpisode72/.